“I know how to find common ground in red and purple places,” she said. The student, 22-year-old Madison Mangels, said later that while she understood Gillibrand’s reasoning and thinks she’s done a “tremendous job being senator,” she believes a bipartisan Cabinet would be an important step toward ending divisiveness in politics. Mangels wasn’t ready to throw her support behind Gillibrand. “There are so many great candidates, I really want to wait until everyone’s out in the open to make a decision,” she said. “Those issues are all important to me. 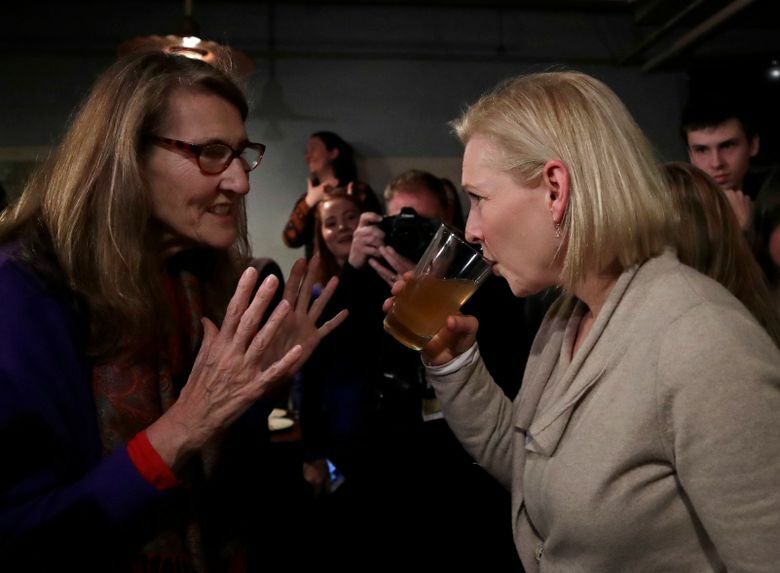 I’d say she’s definitely in my top three,” said Hoskins, who also is leaning toward the two other female senators in the race, Kamala Harris of California and Elizabeth Warren of Massachusetts. 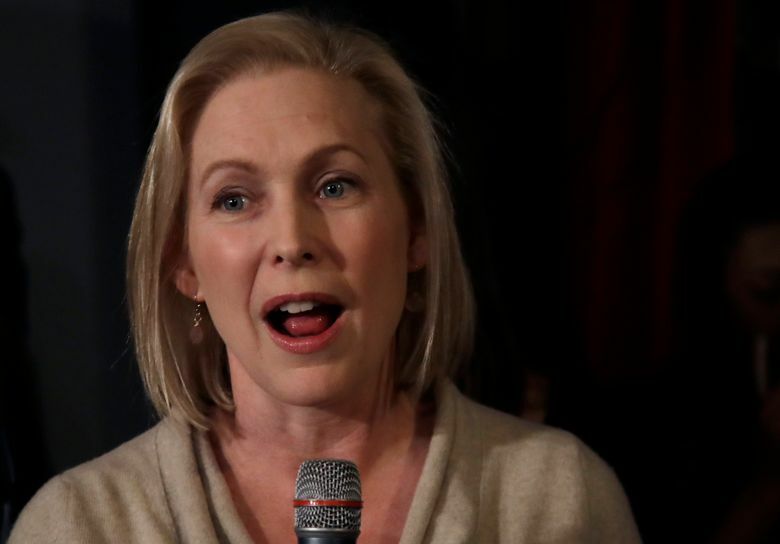 Gillibrand, who was appointed to the Senate in 2009 to fill the seat vacated by Hillary Clinton, has been among the Senate’s most vocal members on issues like sexual harassment, military sexual assault, equal pay for women and family leave. On the campaign trail so far, she has cast herself as a fighter for children in particular. On issues ranging from bail reform to climate change, she told the crowd Friday to imagine “the fear as a parent” — first, as a parent separated from a child because he couldn’t afford to post bail, then as a parent whose child was swept away by Superstorm Sandy. She argued she is well-equipped to address those problems because she has both compassion and courage to act. It was not Gillibrand’s first trip to New Hampshire. She campaigned for Democratic gubernatorial candidate Molly Kelly in October, and is a graduate of Dartmouth College.